Russia is experiencing a golden age of fantastic, high quality historical dramatic TV series. Over the past couple of years subjects have included: the life of Russian civil war hero Admiral Kolchak, Rasputin (making the case he was a great guy, slandered and murdered by the British Secret Service), a screen adaptation of the epic novel Quiet Flows the Don, chronicling the experience of the Don Cossacks during WW1, the revolution, and the Russian civil war, and one following the history of the Romanov Tsars, among others. The production level is really first-rate, reflecting the great depth of talent and experience in Russian film-making, now combined with modern technology and funding. Acting, costumes, writing, and cinematography are truly excellent. The result is stellar, as good, if not better than anything being made in the West. 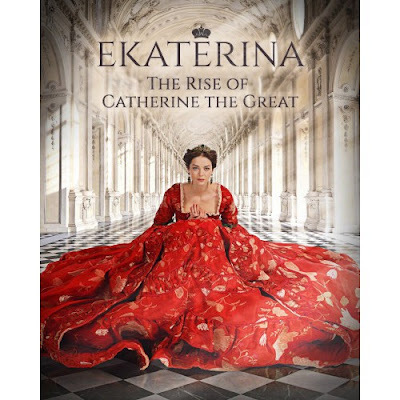 Now on Amazon video there is a 26 episode series about Catherine the Great from 2015. It is subtitled in English on Amazon. The title is Ekaterina: The Rise of Catherine the Great. Amazon Video Debuts Russian Series "Sophia"